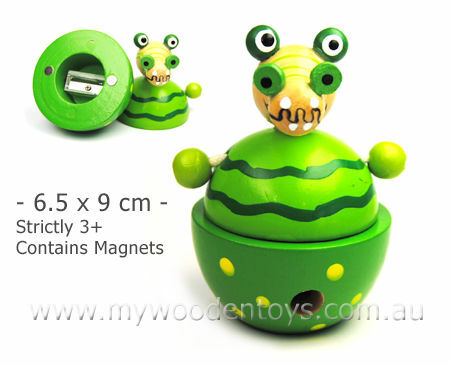 Crocodile Wooden Sharpener is a fun novelty stationery toy with a crazy crocodile body and head. This crocodile sharpener is in two pieces held together by small magnets. The body of the croc holds all your sharpenings and is easy to pull apart to empty. This toy is strictly 3+ as it contains 6 small magnets. We like this because: "Very crazy looking croc."